Whether your teeth need extra protection and resurfacing or there’s a tooth-sized gap in your smile, dental crowns and bridges are common treatment options with beautiful results. 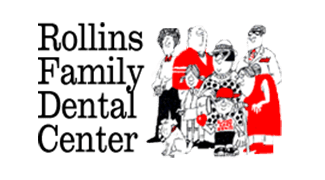 Dr. Dave Canty at Rollins Family Dental Center help men and women in greater Round Lake Beach, Illinois restore their smiles. Make an appointment for a personalized consultation by calling or booking online. How Do Crown and Bridge Treatments Work? After Dr. Canty or another dentist confirms you need one or more individual crowns or a bridge of three or more crowns, he administers local anesthesia to desensitize the treatment area. If needed, he adds a filling to ensure each crown has sufficient surface area for bonding. Then he gently removes a tiny amount of your tooth to allow enough room to add each crown. A dentist at Rollins Family Dental Center makes crowns or a bridge after taking a detailed impression of your tooth using putty or a digital scan. Sometimes a temporary crown is needed for several weeks to ensure proper fit and function. Your caps or bridge matches the surrounding teeth in color as closely as possible. Porcelain and ceramic are the most preferred for their strength and lifelike clarity. Does Getting a Crown or Bridge Hurt? The application of local anesthesia sometimes causes slight pain before it numbs the treatment area. After it wears off, any residual discomfort will dissipate soon. Crowns typically last 10-20 years, while bridges can last 5-15 years or longer depending on the materials chosen, the condition of your surrounding natural teeth, and how well you take care of them. Crowns clean as easily as real teeth, while bridges can sometimes require a little extra skill with floss and threaders. To see if a dental crown or bridge is right for you, make an appointment online or by calling the office today.